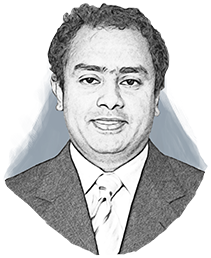 Pharma's Almanac | Ramesh Subramanian, Ph.D.
With over 19 years of industry experience, Dr. Ramesh Subramanian currently serves as the Vice President of Strategic Marketing at Piramal Pharma Solutions, and also has commercial responsibility for the discovery services business. Most recently Dr. Subramanian was a General Partner at XL Advisors, a life sciences consultancy firm. Engagements included advisory roles at SK Capital Partners, a private equity firm with $1.9B of assets under management, and its portfolio firms, and Jubilant, a $1B, contract services firm. Prior to XL Advisors, Dr. Subramanian was the Global Head of Business Development at Chemizon. As part of the management team at Chemizon, Dr. Subramanian helped raised capital, and played a key role in developing the firm’s strategy, positioning, and revenue streams, from its start up to acquisition, to become a publicly traded firm at the KOSDAQ. Earlier, Dr. Subramanian was responsible for the Commercial business for North America at Johnson Matthey, with a focus on catalyst sales towards the pharmaceutical market. Dr. Subramanian has a doctorate in Chemical Engineering from West Virginia University, and a MBA in Finance from The Wharton School, University of Pennsylvania. Q: How is the Need to Provide Local Drug-Product Supply in Multiple Regions Around the World Impacting Pharmaceutical Manufacturing Facility and Equipment Design? Q: What Challenges are Associated with Implementing Cloud Computing within CROs/CDMOs?